The primary focus of our group's research is to elucidate mechanisms by which organic compounds emitted from biogenic and anthropogenic sources react in the atmosphere to form products that can create microscopic organic aerosol particles. These reactions occur in the gas- and particle-phases, and the resulting particles affect climate, visibility, and human and environmental health. 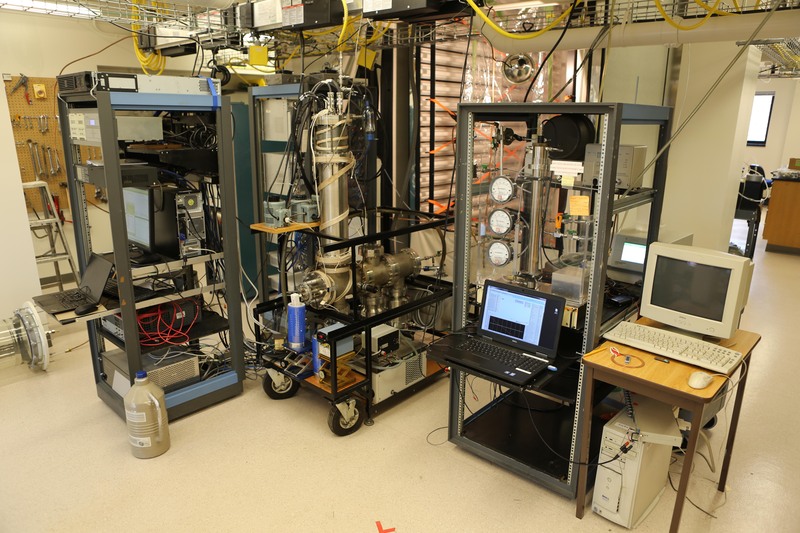 We conduct experiments under simulated atmospheric conditions and then identify and quantify organic reaction products using a variety of analytical instruments and methods. This information is used to develop chemical mechanisms that can be used to improve air quality and climate models. We also conduct laboratory and field studies aimed at better understanding the chemistry of indoor air. In the past year our research has primarily focused on determining the products and mechanisms of oxidation reactions conducted in large Teflon environmental chambers where we can simulate the chemistry of the atmosphere. We have employed a variety of mass spectrometry, chromatography, and spectroscopy methods to identify and quantify organic products formed from reactions of the major atmospheric oxidants (OH radicals, O3, and NO3 radicals) with volatile organic compounds commonly emitted from vehicles, consumer products, and vegetation, including wildfires. Information from these studies is being combined with measurements of the rates of chemical reactions in solutions in order to better understand the effects of molecular structure on the gas- and particle-phase atmospheric chemistry of organic compounds. We have also conducted a study (with Profs. Jimenez, de Gouw, and Miller) on the chemistry of indoor air at the CU Boulder Art Museum to better understand the chemical sources, transformations, and deposition processes that lead to the contamination of art objects on display or in storage. Related experiments conducted in the laboratory have demonstrated that painted surfaces can very effectively remove organic compounds from air through a combination of absorptive and adsorptive processes. And more recently we conducted a study in the Dal Ward Athletic Center to investigate the organic chemicals emitted from CU Boulder athletes as well as their exposures during training activities. In addition, we have continued to collaborate with research groups at Colorado State University and North Carolina State University to investigate the properties of organic particles that influence their ability to absorb water or to form ice, a key process in the formation of clouds. Overall, our work helps to improve current understanding of atmospheric chemistry and aids in the development of air quality models for predicting the fate of organic chemicals outdoors and indoors, their role in particle formation, and the impact of human activities on the environment.